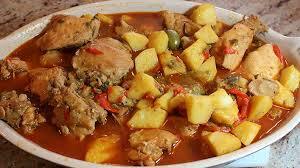 Fricase de Pollo Tradicional - Traditional Chicken Fricassee - Tienditadepuertorico.com - Buy Puertorican Food Here!! ingredients. Bring to a boil, then reduce the heat and simmer for 25 minutes.